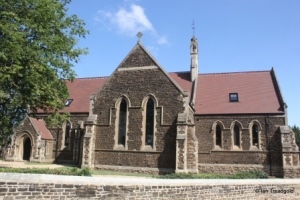 The church of St Margaret in Lidlington is included only for completeness as it is no longer in use as a church and has been converted to private houses. 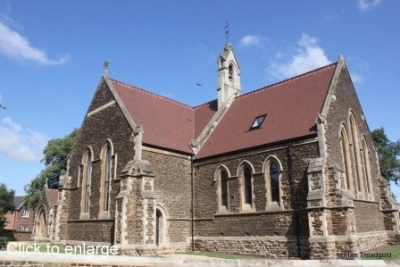 The original medieval church of St Margaret in Lidlington was situated a little to the south of the current building occupying space in what is now the cemetery and was then the churchyard itself. Probably dating from C15, the original church had a chancel, nave, north aisle and porch and west tower. 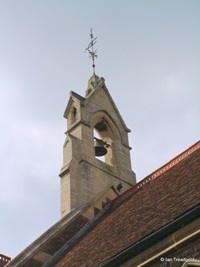 By the early C19 the church was unsafe with the tower leaning badly. 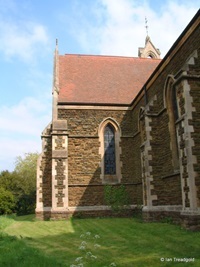 The nave and tower were demolished in 1809 and rebuilt whilst retaining the chancel which was reroofed. These building works did not save the church and it was noted in 1870 that parts of the church were unsafe. 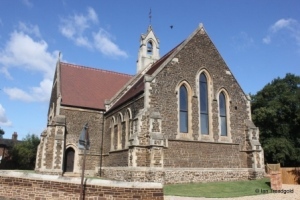 A new church was built in 1885 on the present site and it is this building that remains. 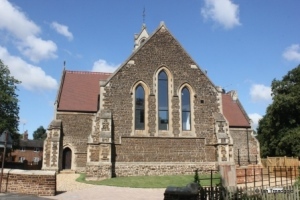 The new church was formally adopted in 1887 with the old church retaining use as a mortuary chapel. Continued decline of the old church meant that it was in ruins in the 1950’s and finally demolished in 1961 leaving no visible trace. 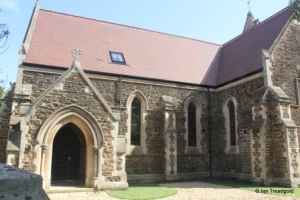 The Victorian church is of cruciform shape with a north vestry, south porch and no tower. Being built in its entirety in one period, the church is naturally uniform in design with single lancet style windows throughout. 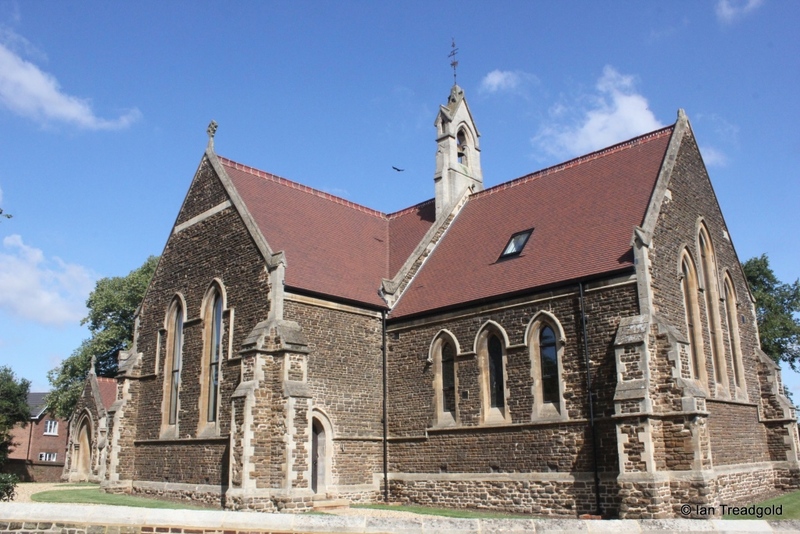 Below are a selection of photographs of the building, some current (2015) and others taken from earlier visits when the church was still in ecclesiastical use (2002).